Romantic, soft texture- Try setting your bob with large hot rollers. Use a thermal setting spray before putting them in, then leave the rollers in until they cool all the way down. Allowing your rollers to set until they’re cool will make curls last much longer. 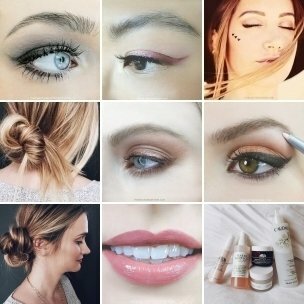 Matte + messy- There are so many dry shampoos and texture sprays out there now. An even dirtier secret: If you work a little pomade into dry hair and then spray dry shampoo it becomes even more matte! After applying, flip your hair upside down, “stir it up” with the blow dryer on the cool setting, flip back up and scrunch with your fingers. Don’t brush after that. Super sleek with a deep side part- When your hair is still really wet from showering, part it and blow the bangs into place. The more wet your hair is, the more cooperative the side bang will be. Always use a thermal protectant spray before flat ironing and then finish with shine spray. Whatever you do, don’t apply shine spray before flat ironing. Shine sprays are often oil based which means you’re basically “cooking” your hair when you do that. 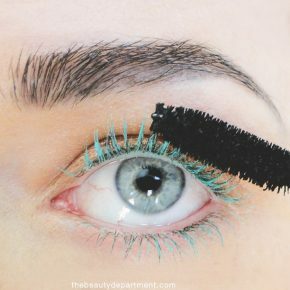 Exposed bobby pin- We LOVE an exposed bobby pin around here. It’s so “French girl” when paired with a bob. We recently found some really cute matte colored bobby pins at Forever 21– be on the look out! Wand curls- The curling wand creates a different kind of curl than the traditional curling iron. It’s more of a coil and tends to be a little fuller and more bouncy. 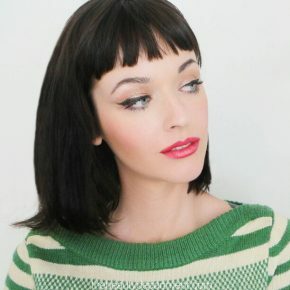 Basic blow out w/ a center part- Particularly a good look for those days you just wish your hair felt a little longer. Curls & waves tend to shorten your hair while a basic blow out (tutorial HERE) with a center part can elongate! 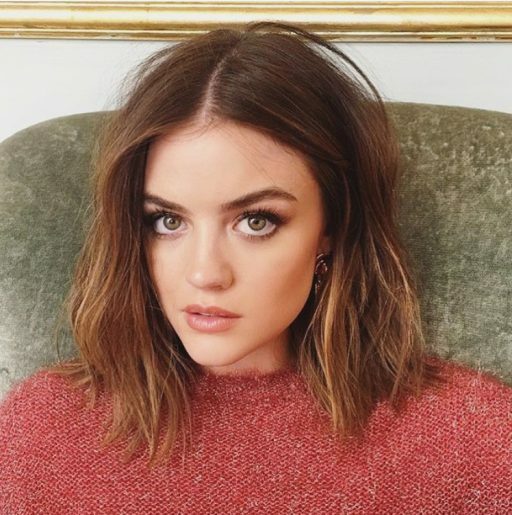 Cut more texture when you get bored- Ask your hair stylist to texturize your cut a little more if you’re over your blunt bob. You can always return to a heavier, more solid line, but sometimes a little texturizing can really get you through bob boredom. Bed head- Go literal! Blow your bob out before bed, put a little wave in it and sleep on it! Add some water based pomade or texturizing spray in the morning and shake it up! It doesn’t work for everyone, but when it does it’s gorgeous! Here’s a quick example of how much your look can change with different texture. Same girl, three different textures. Play with new product, experiment with new styling tools and talk to your hairstylist for ideas!